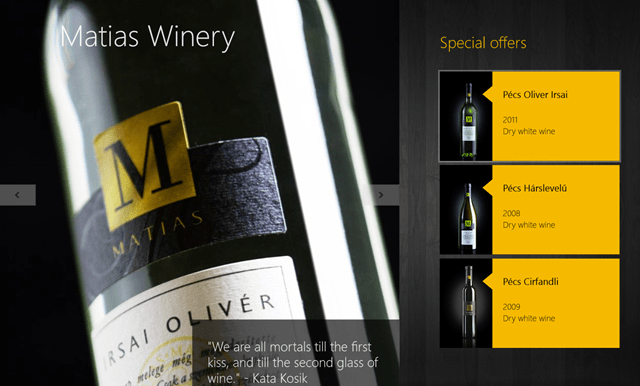 Matias Winery is a free Windows 8 Wine App for those who are the actual appreciations of Matias Wines. Matias Winery and vineyards run with the professional management of Villany-born, young Gabor kiss, director. Is the proprietor of more than 100 hectares of vineyards in the most significant traditional vine producing regions of the country? Well, all this jibber-jabber is none of our concern. The thing we are actually looking about is that what this Windows 8 wine app really do. Matias Winery will let you search about all the exotic delicacies of Matias vineyards. You can easily know about a large number of wine products and can also read a lot about them. 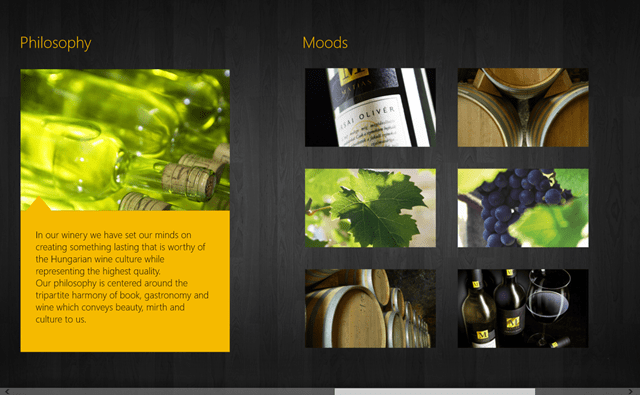 And the next time when you are off to buy wine, you can surely take the help of this wine app for Windows 8. 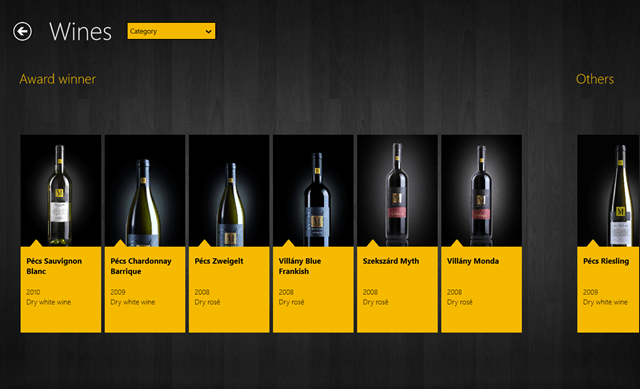 This is how the interface looks and you can browse through a huge variety of expensive wines. They are categorized into various types like one day you like Red Wine and other day its White or Rose Wine. They are also categorized according to their dates as they are vintage wine. There are also award-winning wines or recommended wines, lot like some Oscar-winning wines… they are kind of award winners. This Windows 8 wine app has also categorized the wines according to the regions from where they are originated like Pecs, Szekszard, Badacsony, and Villany. You can also read the philosophy and can check out the gallery. That is how the philosophy flows. Wines are recommended to you according to your mood. So, the next time you ran out of wine. Don’t forget to take a sneak peek on this Windows 8 App available under the “Food & Dining” Category.